Thursday’s Nintendo Direct reinforced one thing about Super Smash Bros. series director Masahiro Sakurai: he loves a surprise. He dropped plenty of them Thursday, revealing many of the final details for Nintendo’s upcoming Super Smash Bros. Ultimate and including a few surprises that fans never saw coming. 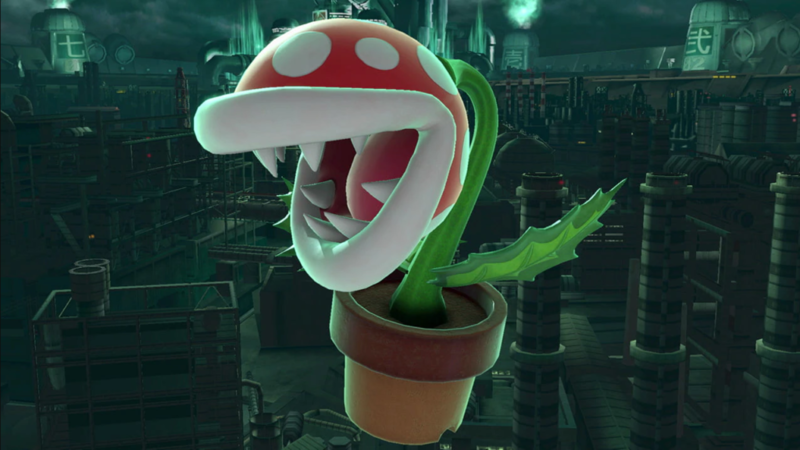 From the unveiling of Piranha Plant as a new fighter coming via free DLC next year to the announcement of a ‘Smash Pass’ that allows players to purchase the five DLC characters before their release in the next two years, there were signs aplenty that Nintendo is (slowly) modernizing their approach to one of their most popular series. However, nowhere is that more obvious than in Ultimate’s new implementation of online. Giving many consumers their first real reason to purchase Nintendo Switch Online, Ultimate’s approach to online offers a degree of choice and granularity never before seen in the series. From the ability to (finally!) voice chat with strangers and friends via Nintendo Switch Online’s mobile app to the inclusion of battletags and the introduction of ‘Elite Battles,’ Nintendo is finally implementing what fans have asked them for years: a Super Smash Bros. online system that is fun, but, most of all, can be used to train for competitive play. While Nintendo’s approach to online play has improved with each release of Super Smash Bros. — hitting a high point with 2014’s Super Smash Bros. for Nintendo 3DS and Wii U, which offered the series’ first true competitive mode (‘For Glory’) and scrapped Super Smash Bros. Brawl‘s anemic approach to online — the changes present in Ultimate look revolutionary in comparison. A revamped matchmaking algorithm, which now matches players according to their preferred game mode, distance from each other, and respective ‘Global Smash Power’ ranking, is perhaps the best of the quality-of-life changes being implemented in Ultimate. While Super Smash Bros. for Wii U suffered from laggy online matches and sometimes embarrassingly unbalanced matchmaking, it seems like Nintendo has made changes to address these shortcomings in Ultimate. However, the most eye-opening thing to come out of yesterday’s Direct, at least for competitive Smash players, was the introduction of ‘Elite Battles,’ an invite-only system of elite matchmaking which looks to pair the best players with each other, note purported character imbalances, and address them via future updates. Make no mistake — this system isn’t going to transform Nintendo into Blizzard and make their character design subject to extensive fan feedback. However, it will certainly give players who care about the in-depth mechanics of their favorite characters some sort of forum for possible changes. ‘Elite Battles’ show that Nintendo does care about making ‘Smash’ one of their chief competitive titles. More significantly, ‘Elite Battles’ show that Nintendo actually does care about making Super Smash Bros. one of their chief competitive titles. In contrast to what they’ve shown in previous years, it’s obvious that they now view Smash as something other than a party title. Indeed, Super Smash Bros. Ultimate‘s approach to online is more in line with Nintendo’s efforts with Splatoon 2 than Mario Tennis Aces or Super Mario Party, a sure-fire sign (at least this time) that Nintendo is taking online a bit more seriously. In that way, yesterday’s Direct bodes well for the future of competitive Smash Bros. Relations between Nintendo and the community have improved dramatically since the latter attempted to shut down Super Smash Bros. Melee’s presence at the EVO fighting tournament in 2013. In those five years, they’ve built a lot of goodwill with a previously hostile community, released soon-to-be three new Smash games, and built the latest installment with competitive players in mind. If anything, yesterday’s Direct proves that despite their initial reticence to utilize competitor’s feedback, Nintendo finally does care about what fans think. In a greater sense, Super Smash Bros. Ultimate proves that Nintendo finally cares about competitive gaming. Although a gamer since before I can remember, there is not a better definition of me than these three words: Christian, moderate, and learner. I am steadfast in my Faith, my Beliefs, and in my Opinions, but I am always willing to hear the other side of the discussion. I love Nintendo, History, and the NBA.